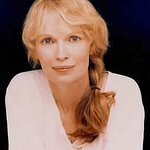 Actress and activist Mia Farrow has ended her hunger strike to raise awareness over atrocities in Darfur, but is passing the torch to Richard Branson, who has taken over her fast for three days. A spokesman for the actress said her health had deteriorated after 12 days, and her doctor requested that she end her liquids-only fast. But she asked British billionaire Branson to take over the fast for three days over the weekend. “We all need to stand up and demand that international aid is restored and that the people of Darfur are protected and given the chance to live in peace,” said Branson. To follow the hunger strike and lend your support, visit the Fast For Darfur website.